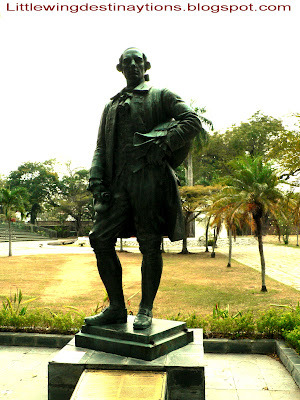 Fort Cornwallis was built on the site where Sir Francis Light made his historic landing in 1786, or more popularly known as the Esplanade. It was named after the Governor-General in Bengal-Charles Cornwallis, and was one of the first few European structures constructed here. The star-shaped fort was just a simple stockade made out of nibong palm trunks in the beginning, before it was reconstructed using bricks at a cost of 67,000 Spanish Dollars then in 1793. 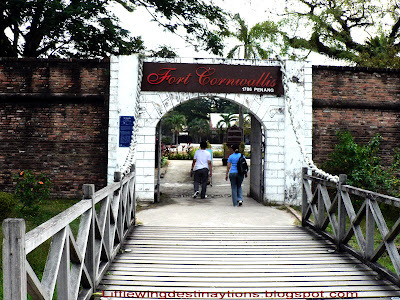 The fort, used as military and administrative base of the British East India Company, was built to protect the island from possible onslaught launched by Frenchmen. However, no battle has ever taken place at the fort, not even during the Japanese invasion in the 1940s. Today the fort is considered an important landmark and a must visit tourist attraction in Penang. 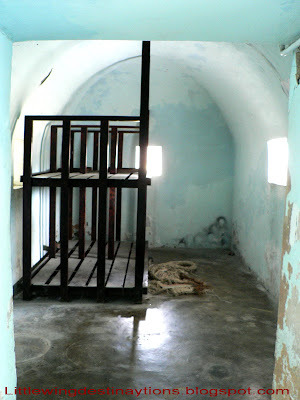 Among the existing relics which are full of historic colours and remain intact are the military barracks, room for the storage of gunpowder magazine, a Christian chapel, a Lighthouse, several cannons including the "infamous" Sri Rambai and cell rooms. Open daily from 9am - 7pm, entrance fee for adult RM2 and RM1 for children. 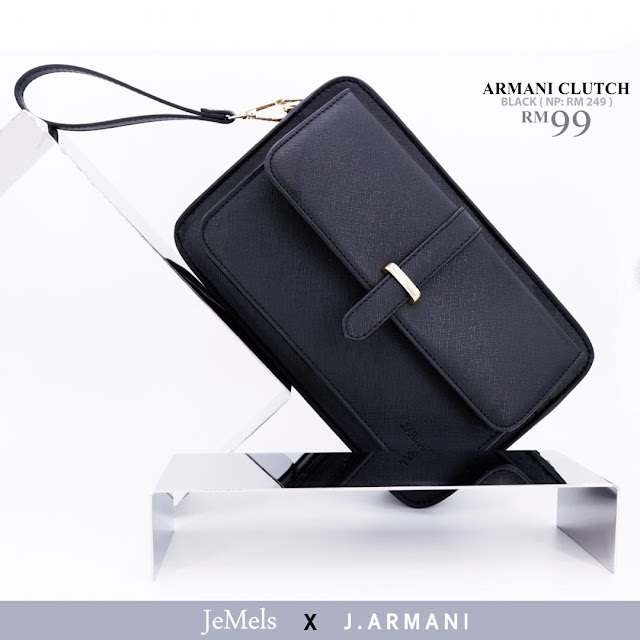 It is fully managed by Penang State Tourism Development and Culture Office. The legendary Fort Cornwallis is one of the few legacies left behind by Sir Francis Light that remains intact after more than two centuries. It is therefore no surprise when the bronze statue of Francis Light is placed at the entrance overlooking the fort. 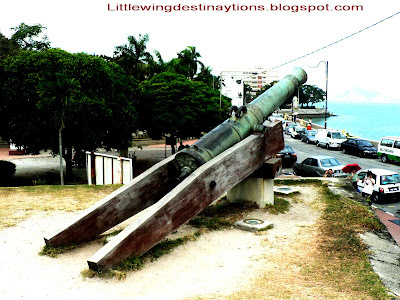 In 1880, the Sri Rambai cannon was found in the Straits of Malacca. 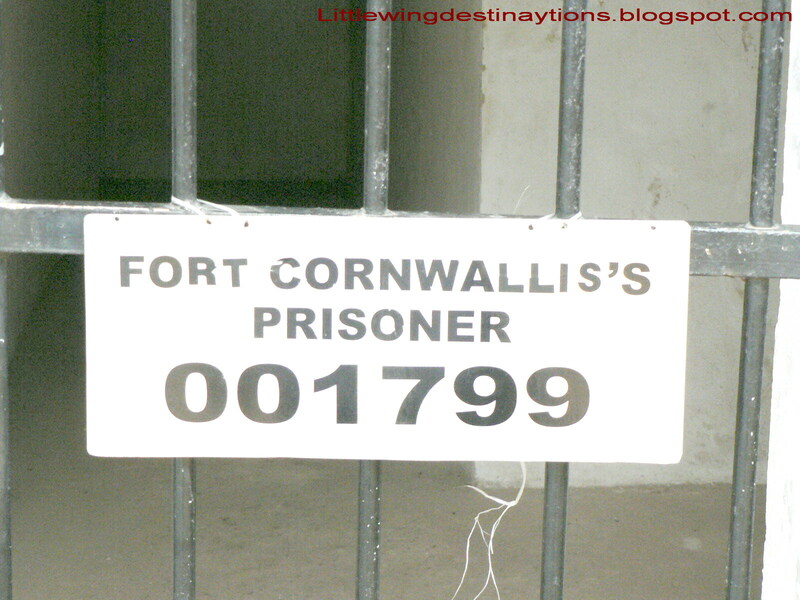 It was scooped out and placed at the North-West bastion of the Fort Cornwallis. Local folklore even believed that women who were intertile would be able to conceive by placing flowers in the cannon barrel as a form of special prayers. 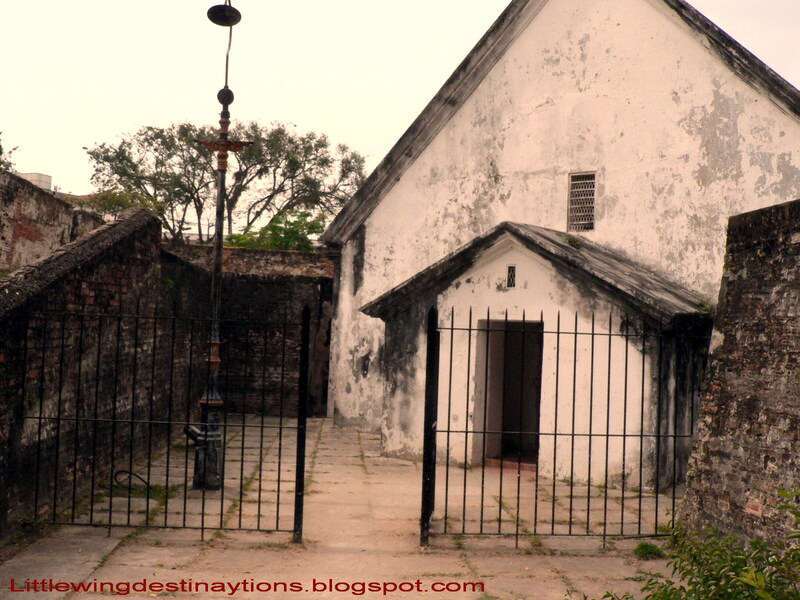 The chapel is one of the earliest roofed structures in Penang built in 1799. Located on the landward side of the fort, the first recorded service taking place was the marriage of Sir Francis Light's widow, Martina Rozells and John Timmers in the same year. The old chapel of a triangular shaped roof remains intact until today at the south-west corner of the fort. Before its conversion, the cell, built in 1811, was first used as barracks to house European artillery. The site has now become a favourite spot for photo opportunities. 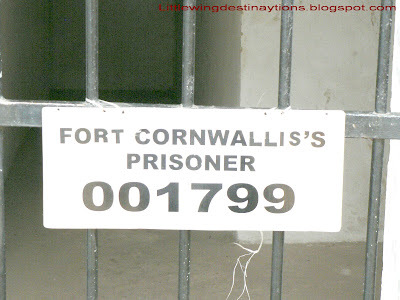 Visitors can now experience the feeling by going behind bars with the cell door chained with huge padlock! 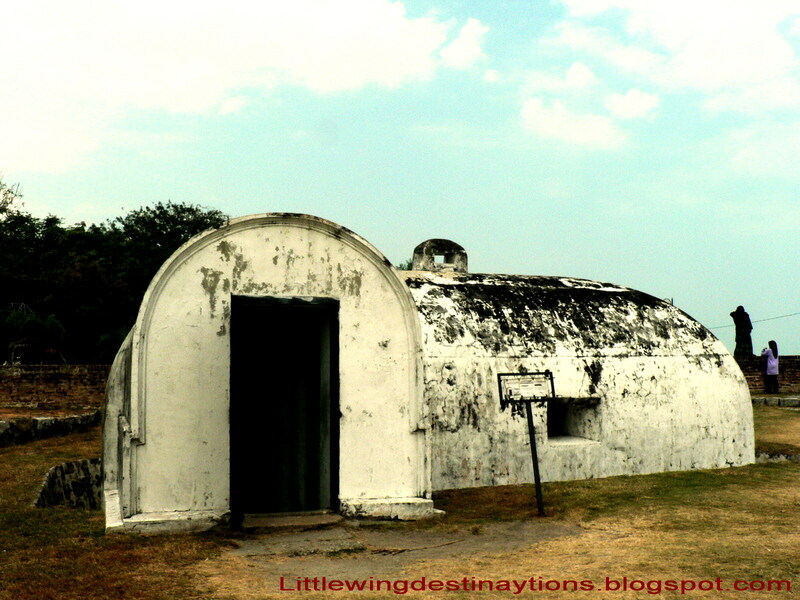 Constructed in 1814, the magazine located at the North-West bastion of the fort was used to store explosives. 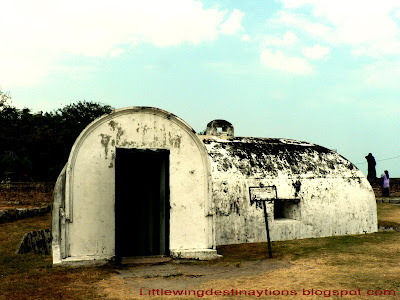 Its pillbox shaped design with thick wall was meant to minimise damage in the event of an explosion. Children who visit the place nowadays love to turn it into a place for hide and seek.